While experiences are the first E in experiential education, it is through reflection that the learning takes its root and makes lasting changes. According to Kolb, learning is a process where knowledge is created through the transformation of experience. Reflection is integral to that transformation. This workshop will explore methods of guiding students to be more reflective in their experiences and following their experiences: the use of journals in reflection and models for conducting regular seminars promoting reflection and reflective conversation. For more information on the Experiential Education Academy click here. Presenter: Dr. Ronald Kovach has served as both chief academic affairs and as a chief student affairs officers throughout his 35-year career. He has conducted numerous presentations on experiential learning at international and national conferences, taught in a variety of academic disciplines, and has publications on experiential education and student retention. While in the Purdue system, Dr. Kovach was awarded a $1.75 million grant from the United States Department of Education for experiential learning. For eight years Ron served on the Board of Directors of the National Society for Experiential Education (NSEE) as President, Treasurer, Past President and Director of the Experiential Education Academy. In 2017 he was awarded the Society’s Steuerman Award for Distinguished Service. Deadline to register is March 22, 2019. 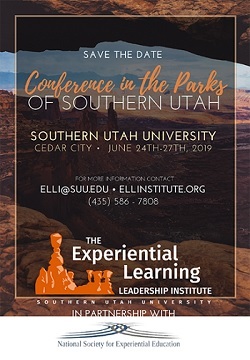 All experiential education professionals are welcome to enroll. For more information, contact Eugene Alpert at [email protected]. No refunds are allowed unless NSEE cancels the workshop for lack of enrollment or other related reasons. Substitutions from the same institution are allowed if the original registrant cannot attend.